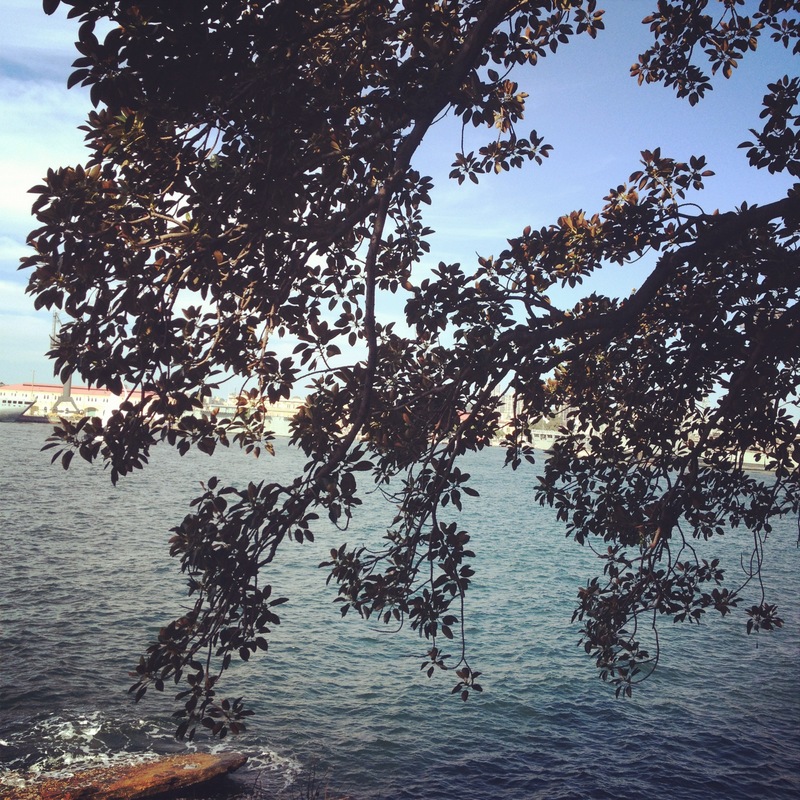 A couple of weeks back I went out for a birthday lunch and we entered up walking around to Mrs Macquarie’s point which offers some of the best views of Sydney you can find. I can’t tell you what that important looking thing is, but there were tonnes of navy boats, which makes sense, Garden Island is a military base. This has to be one of the most relaxing walks in history. And from here you have fantastic and uncrowded views of the bridge. 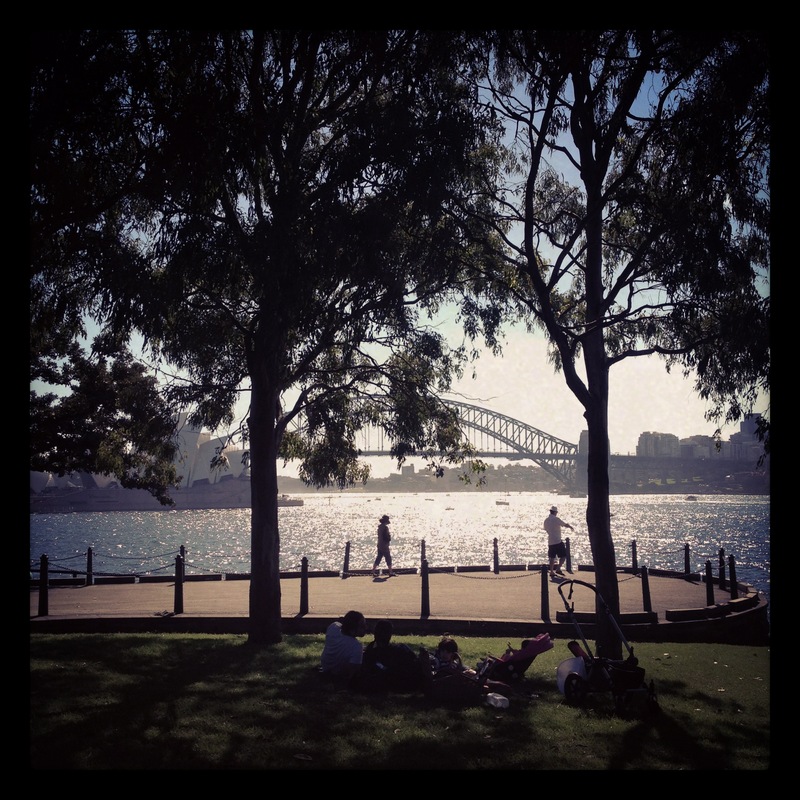 Far, far better than Circular Quay, if only for the escape from all the tourist crap! Only Sydney! Water over water – Boy Charlton pool is one of my new favourite places in the whole world. Just one more, because you can never get enough of it. I think I’m going to get that one printed. Straight to the pool room it will go! 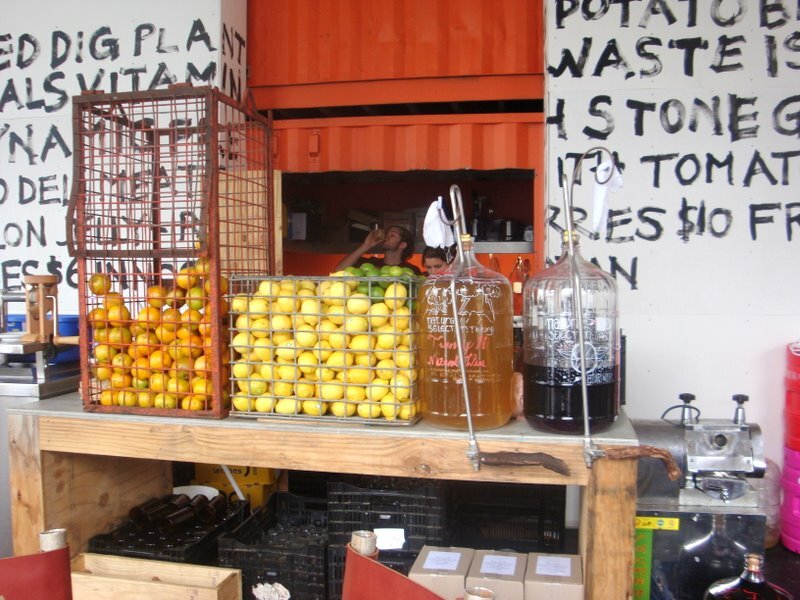 A few weeks ago Mr G randomly heard about that foodie dedication to all things recycleable and organic, Greenhouse by Joost and decided to go. Fortunately this was before it appeared in the SMH and we got a table at 1pm really easily. In Sydney this is completely unheard of. The theme was organic. They pulled it off. 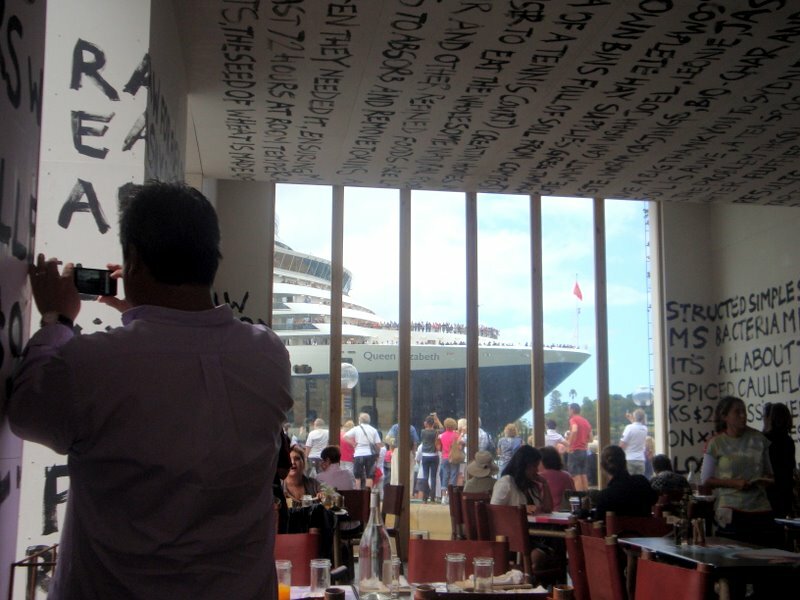 The menu was typical of organic and seasonal produce restaurants, short and sweet. And very, very good! 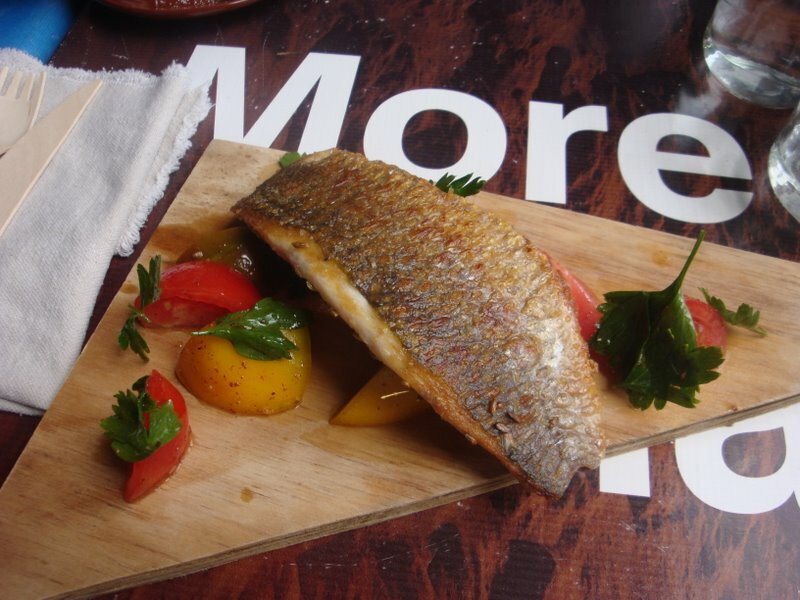 This was mullet with heritage tomatoes. I don’t know how they get the skin that crispy but I’m sure it involves butter. And the tomatoes were amazing. My only complaint was that they served it on some sort of untreated recycled wood and the mullet soon tasted like untreated recycled wood. It’s not the culinary experience you’d think it was. But it just made me eat the damn fish faster! 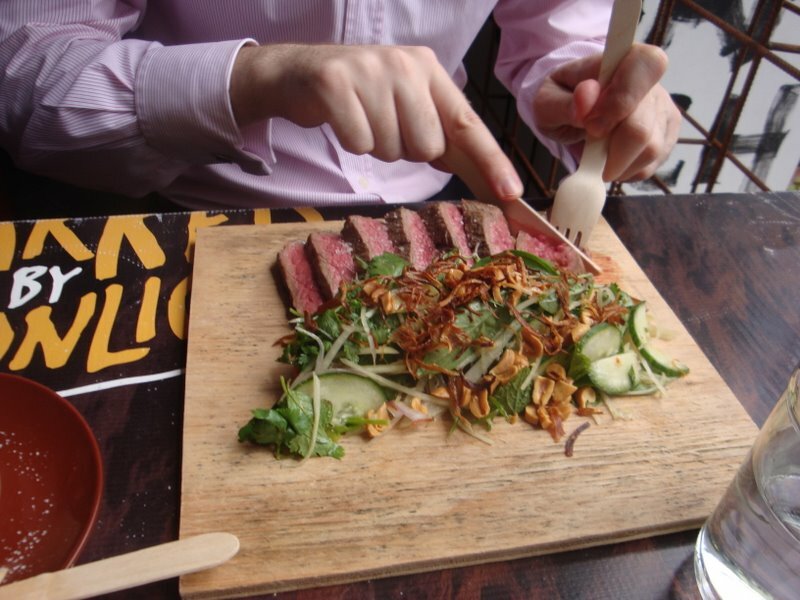 Mr G had the wagyu steak and salad and wasn’t disappointed. While we were there, one of the cruise liners decided to leave the harbour. It was a bit surreal watching that giant ship move past the window. A bit post-apocalyptic. I half expected it to take off. 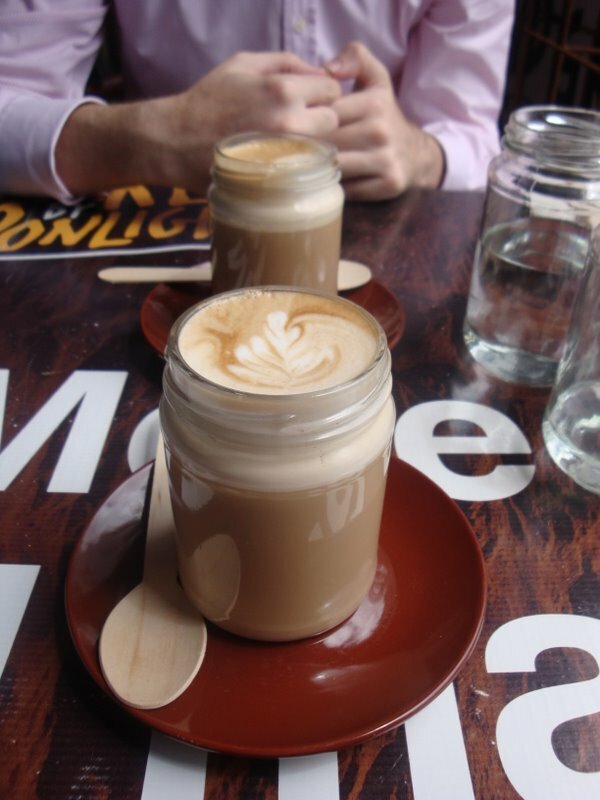 Then we drank coffee from recycled jam jars. Post 90s organic recycled nu-hipster cred? Tick. 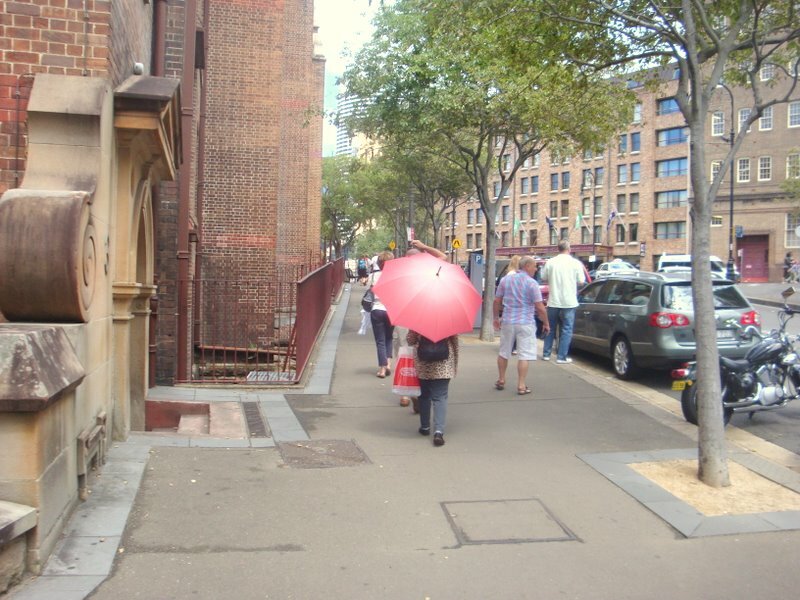 And then there was a lady outside with a pink umbrella. I couldn’t take my eyes off her, I was obsessed! 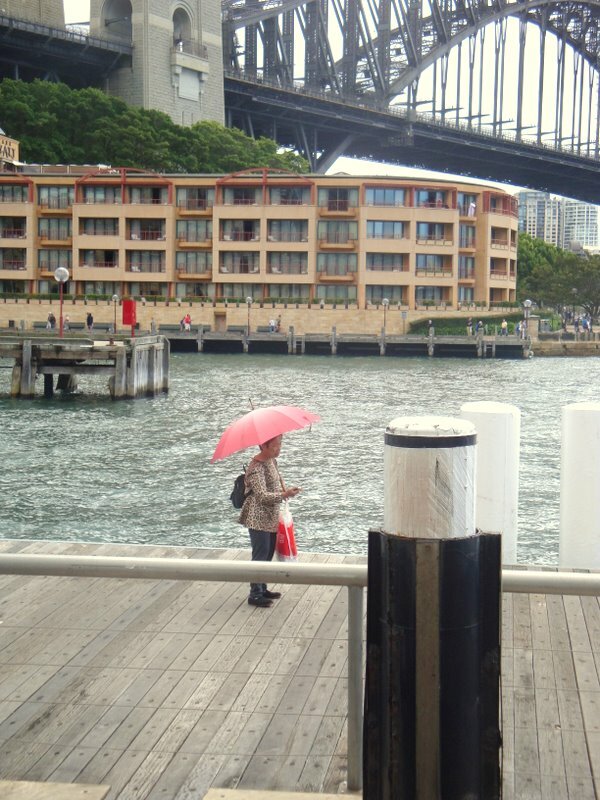 It was a dull-ish day and the pink umbrella seemed to light up everything around her. I stalked her through The Rocks for a while before Mr G announced I was being creepy and to stop it. 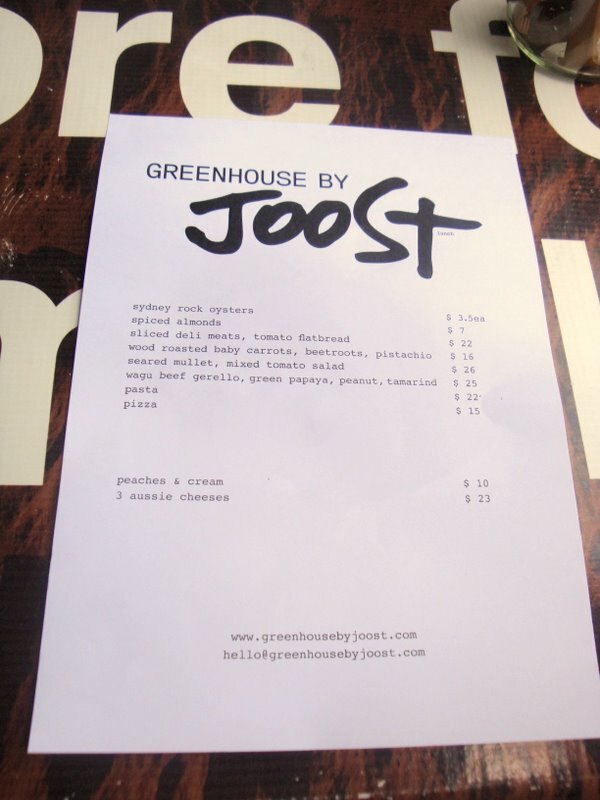 Anyway, I recommend Joost – the food is good, so is the coffee. No disappointments. I saw a lot of people ordering the pizza – now this place grinds their own flour and makes their own. As someone who makes their own pizza this can only mean one thing – tough and chewy. Don’t go there expecting great pizza. It’s organic, it’s wholesome, but I can guarantee you there are better things on the menu. Like that lovely mullet!